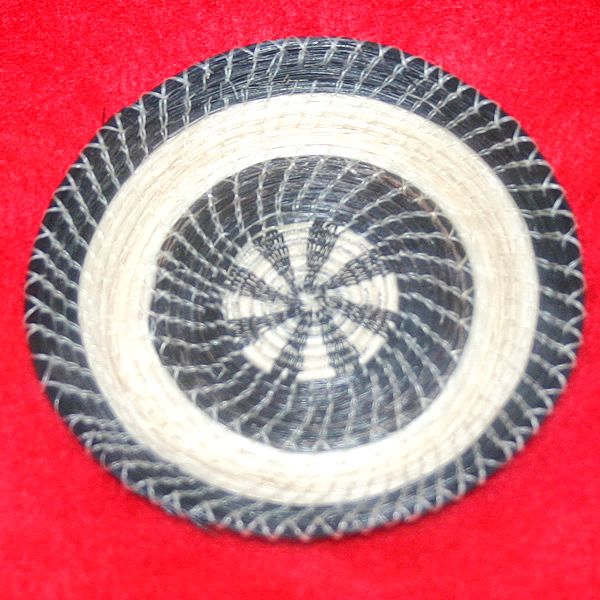 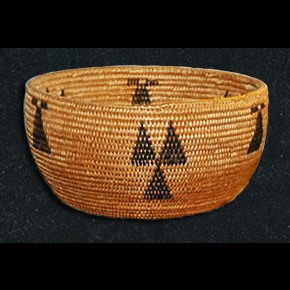 This is a beautifully made horsehair basket by the Tohono O'odham Tribe in Southwest Arizona. 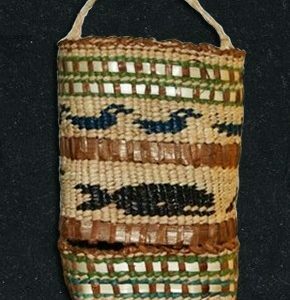 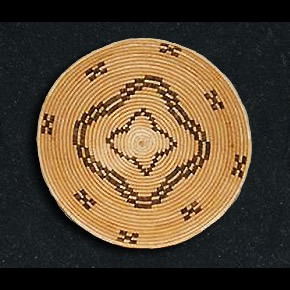 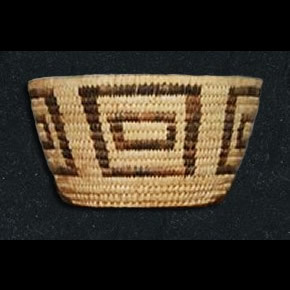 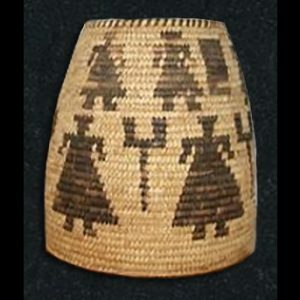 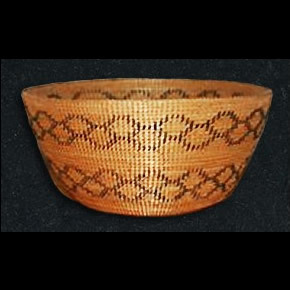 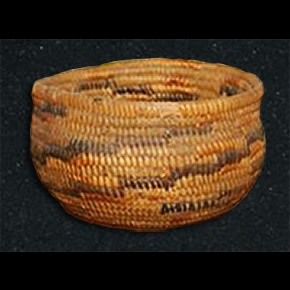 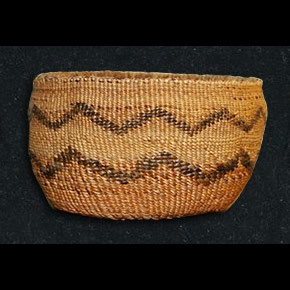 Previously known and collected as “Papago” this basket is 3″ in diameter. 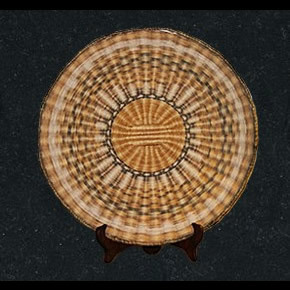 In a Riker frame.